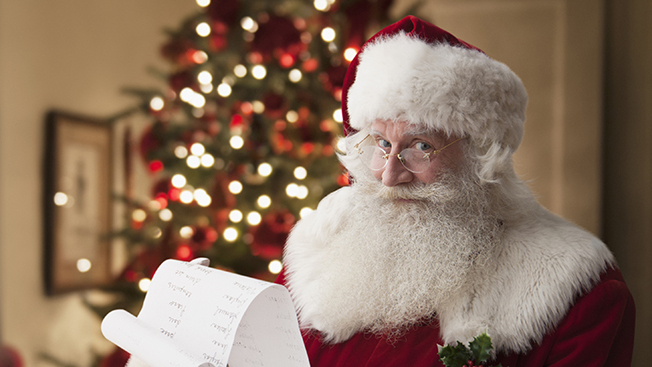 Which Networks Made the Naughty and Nice Lists This Year? It was a very good year for the Peacock Network, which won the 2013-14 season in 18-49 (a 2.7 average), its first demo victory in 10 years. The network picked up where it left off this fall, where it's once again leading the pack in 18-49 (thanks largely to Sunday Night Football and The Voice). Not even Peter Pan Live's disappointing ratings can stall NBC's momentum, especially with Super Bowl XLIX waiting in the wings on Feb. 1. ABC is still very much a work in progress, but its top three scripted series are higher rated in 18-49 than any broadcast series except The Big Bang Theory (Modern Family, 3.41; Scandal, 3.16; freshman hit How to Get Away with Murder, 3.04). This fall, it shored up Thursdays with its powerhouse Shonda Rhimes-produced #TGIT lineup, and after six years, finally discovered a suitable time slot partner for Modern Family (the terrific Black-ish). It might not win the race in 18-49 (except when it comes to Big Bang Theory, which is averaging 4.56, a full ratings point higher than any other scripted series on broadcast TV), but CBS remains the most-watched broadcast network in total viewers (averaging 10.7 million this season), and has added two new freshman hits to its arsenal in Scorpion (2.36) and NCIS: New Orleans (2.28) (a third, Madam Secretary, is drawing an impressive 12.67 million viewers, but only a 1.61 rating in 18-49). That keeps it solidly on the nice list. The network went two for two this fall, as The Flash became its highest-rated show in 18-49 (1.53, 50 percent more than its number two show, Arrow, at 1.01, and ahead of other media darlings like New Girl and The Good Wife), and the critically-acclaimed Jane the Virgin, who landed two Golden Globes nominations last week. For a network that routinely comes up small, this was a year to remember. FX's shows Fargo and The Americans were mainstays on year-end top 10 lists, while some of its other series are receiving plenty of Nielsen love. The premiere of American Horror Story: Freak Show was the most-watched telecast in FX history, with 6.54 million viewers in 18-49 (live-plus-three ratings), while Sons of Anarchy's just-wrapped final season was the highest-rated season of any FX series (averaging 5 million 18-49 viewers, again in live-plus-three). Plus, The Simpsons helped saved FXX. Three words: Game of Thrones. This year's Season 4 premiere drew 6.6 million total viewers, the network's biggest audience since The Sopranos season finale in 2007, and the drama averaged 18 million gross weekly viewers. HBO is also leading the pack on Emmy night, with 19 wins (out of a whopping 99 nominations). And the industry is already buzzing about the network's plans to finally launch a streaming network for non-subscribers next year. This is a year that Fox would like to forget. By the time then-entertainment chairman Kevin Reilly departed in May, the damage was already done. Four of its five fall shows have been canceled or production has ceased (farewell Utopia, Gracepoint, Red Band Society and Mulaney), while Season 1 hit Sleepy Hollow cratered in its return (its 1.64 18-49 rating is a 37 percent drop from last season). And let's not forget the whole "R.I.P. Pilot Season" debacle. And not even American Idol can save the network any longer. Fox, which does have one new hit in Gotham (2.48), can only hope that this is rock bottom.